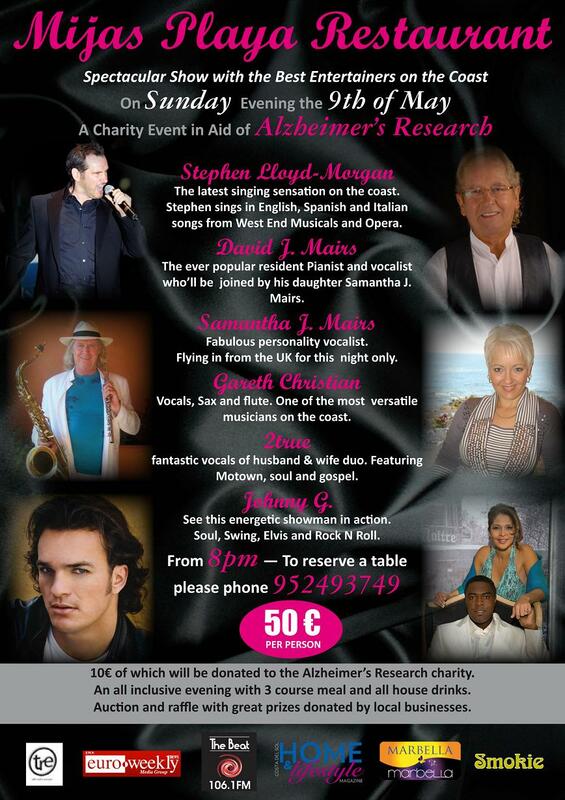 Alzheimer’s Research Charity Show | Marbella Marbella – Adelante! 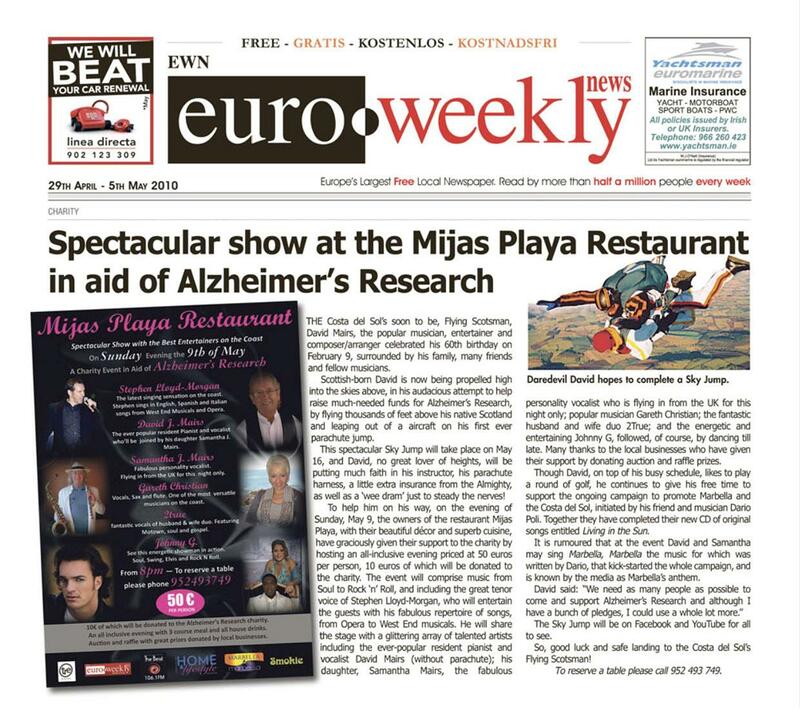 Mijas Playa Restaurant is presenting a spectacular show with the best entertainers on the coast. An all inclusive evening with a 3 course meal and all house drinks, plus auction and raffle with great prizes donated by local businesses. 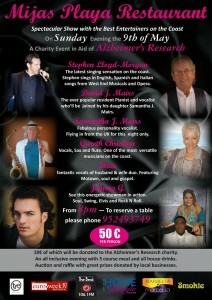 The event is in aid of Alzheimer’s Research charity and is to be held on Sunday 9th of May 2010 at 20:00 in the evening. The latest singing sensation on the coast. Stephen sings in English, Spanish and Italian, songs from West End musicals and opera. The ever popular resident pianist and vocalist who will be joined by his daughter Samantha J. Mairs. Fabulous personality vocalist. Flying in from the UK for this night only. Vocals, sax and flute. One of the most versatile musicians on the coast. Fantastic vocals of husband & wife duo. Featuring Motown, soul and gospel. See this energetic showman in action. Soul, swing, Elvis and Rock’n’Roll. The price is €50 per person of which €10 will be donated to the Alzheimer’s Research charity. To reserve a table please phone +34 952 493 749.